Dispose of your sensitive documents safely and securely at Ewing’s last Shred Day of the year, Saturday, October 21st from 9 – 1 at the municipal building. 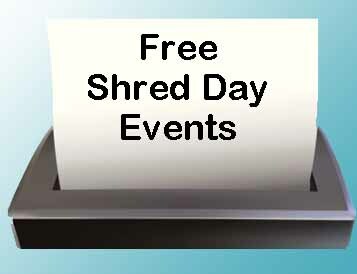 Document shredding will be done on site. This service is for Ewing residents only and proof of residency is required. The Ewing Green Team will be on hand to assist. The 2018 Shred dates will be announced early next year. Recycle Right! Say NO to Pizza Boxes in Your Recycling Bin! Say No to Plastic Bags in Your Recycling Bin! Recycling takes a little effort on your part, for a big difference to our community.